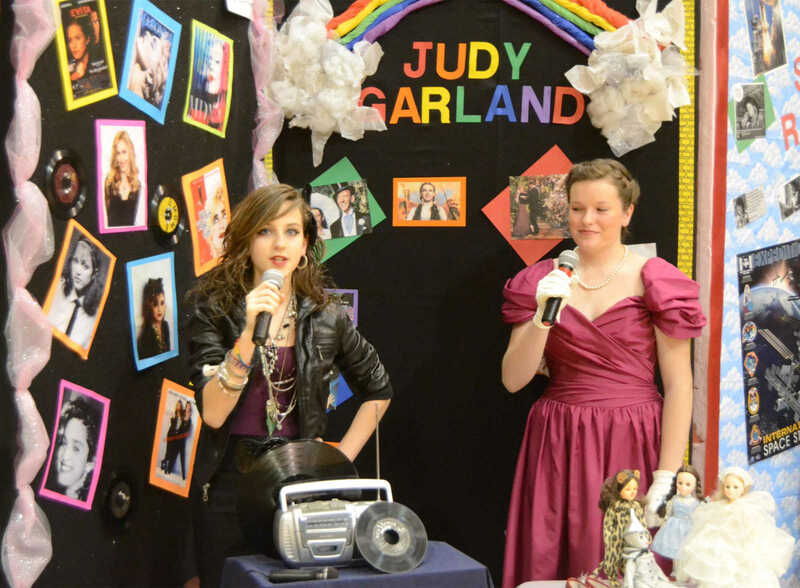 Alyssa Meisenheimer and Lauren Eaton, right, portray Madonna and Judy Garland, respectively, at the Wax Museum on Tuesday. 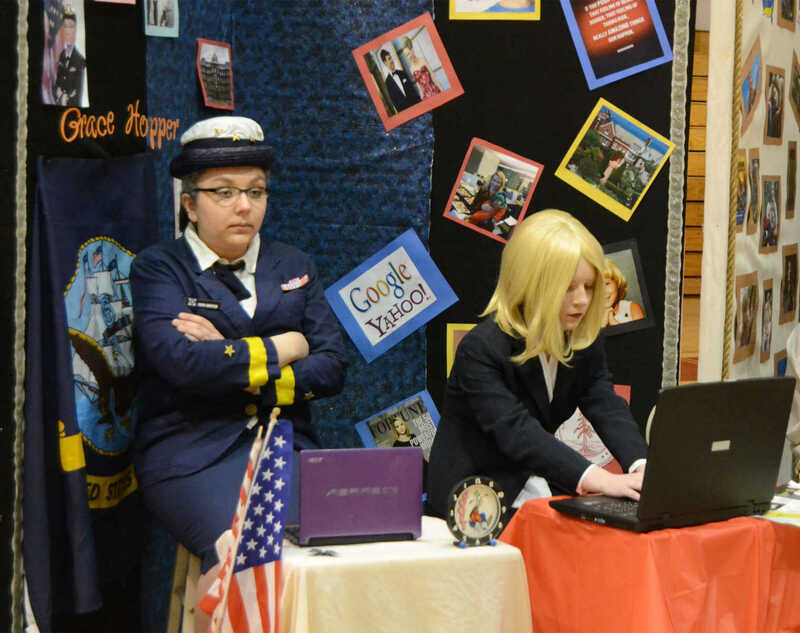 Erica Craig and Kensi Hogan pose as Grace Hopper and Marissa Mayer, respectively, at the Wax Museum on Tuesday. 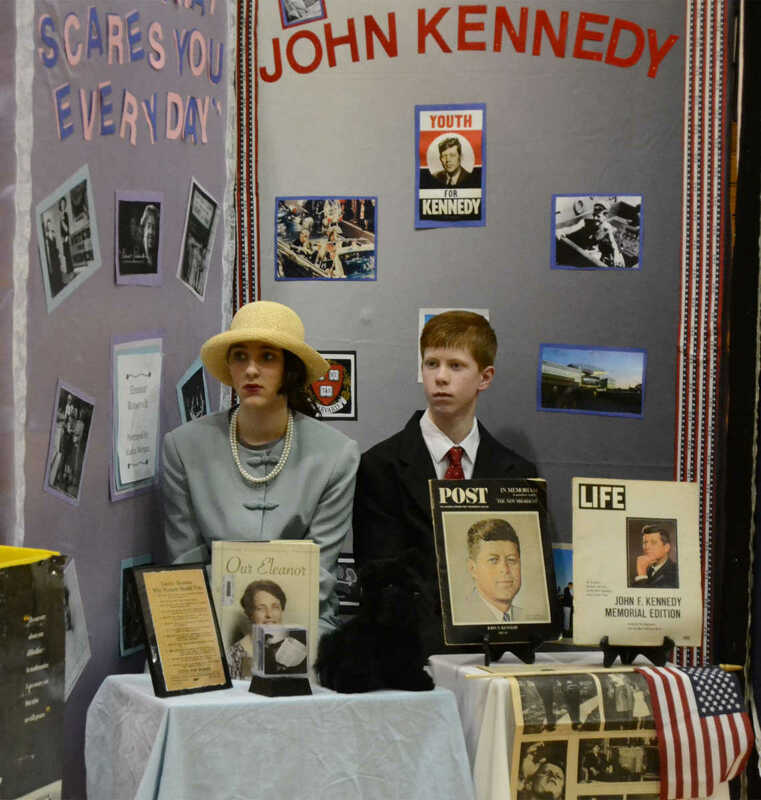 Alaina Morgan and Trenton Ellis pose as Eleanor Roosevelt and John F. Kennedy, respectively, at the Wax Museum on Tuesday. 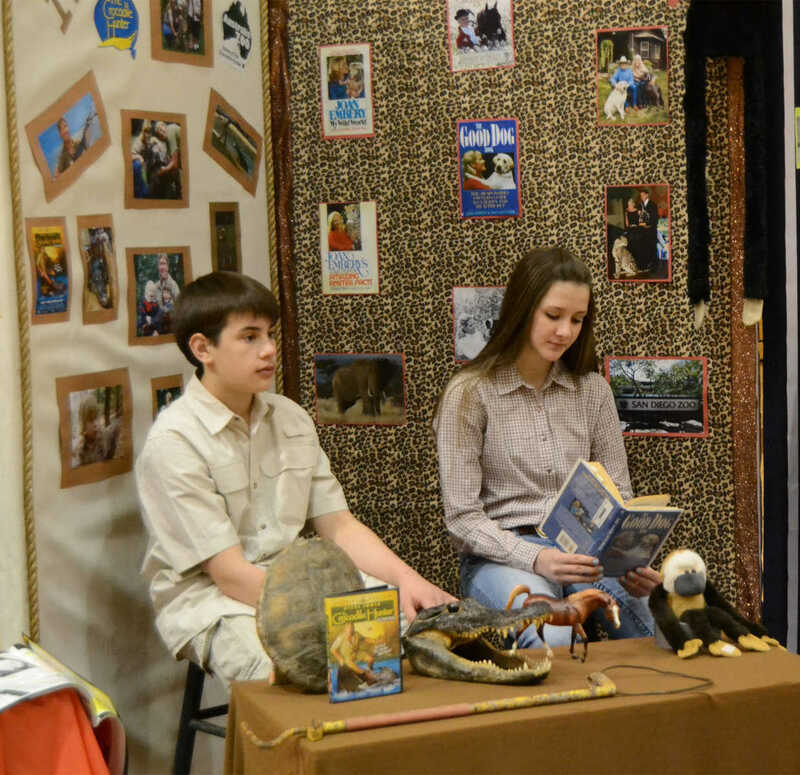 Eli Householder and Sarah Creasy pose as Steve Irwin and Joan Embery, respectively, at the Wax Museum on Tuesday. 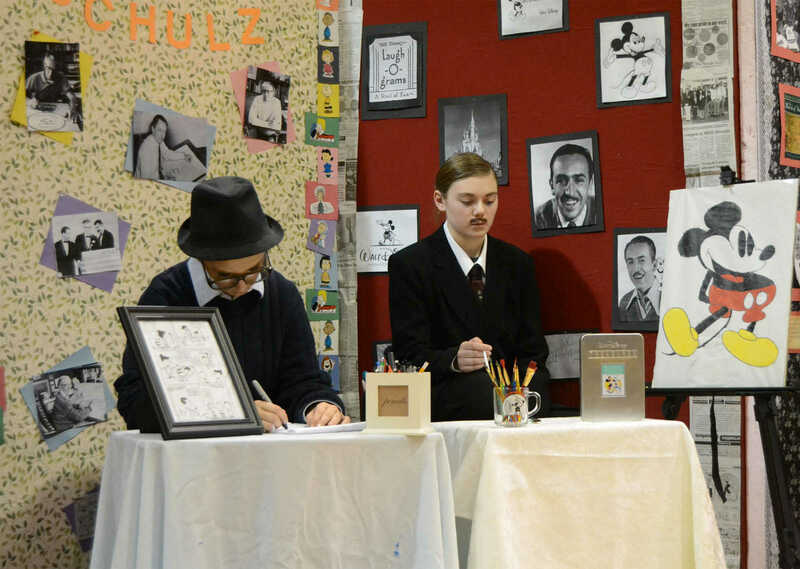 Grace Jackson and Katherine Pruitt, right, pose as Charles M. Schulz and Walt Disney, respectively, at the Wax Museum on Tuesday.